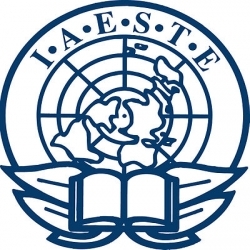 The International Association for the Exchange of Students for Technical Experience commonly referred to as IAESTE (pronounced i-a-es-te or ai-es-te) is an international organization exchanging students for technical work experience abroad. Students gain relevant technical training lasting from 4 weeks to 18 months. IAESTE includes committees representing more than 80 countries, with the potential of accepting new countries into the organization every year. At the general conference 2005 held in Cartagena, Colombia, the statute and by-laws of IAESTE a.s.b.l. were established, making IAESTE a registered "associacion sans but lucratif" (non-profit organization), with the centre in Luxembourg. The current President is prof. Bernard Baeyens from Colombia. IAESTE's motto is "Work, Experience, Discover". IAESTE's aims are to connect students with employers in foreign countries, provide university students with technical experience, and culturally enrich students and their host communities. Hy , I am Pakistani student currently studying Agricultural sciences .what is procedure to apply for this program?